The Castle Shannon senior said she's never been more prepared for a lead role. A veteran performer at Keystone Oaks, senior Amanda Stefanowicz said this year’s cast for “Fame The Musical” is more prepared than any she’s been a part of. “It’s just very well put together,” she said. That’s largely because of performers like Stefanowicz, who is playing aspiring actress Mabel Washington, director Shane Hallam said. “She’s one of the hardest workers and best leaders on stage,” he said. She has held lead roles in previous school musicals "Footloose," "Barnum" and "Brigadoon." Playing a comedic character like Washington, a performer has to shine or the show will drag, Hallam said. Stefanowicz, of Castle Shannon, also excels academically. She maintains a 3.8 grade point average, is a member of the National Honor Society, participates in 13 school organizations and performs among the band’s color guard. She plans to attend Allegheny College where she will major in mathematics and minor in theater. 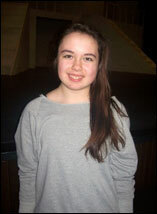 Molly Young will take the stage as Serena Katz in the high school's production of "Fame The Musical." “I was so shocked and so honored. There are so many talented kids in this cast,” Young said. But staging director Mike Viola said Young absolutely deserved a lead role and is undeniably talented. “When she auditioned, I was blown away. I couldn’t believe she was a freshman,” he said. Young plays Serena Katz, a shy, aspiring actress. Despite initial shock and awe of landing the role, Young said the show is coming together quickly. “(Director Shane Hallam and Viola) have made it into something amazing,” she said. 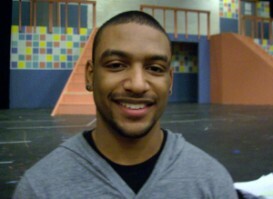 Young, of Dormont, has studied at the CLO Academy and Center for Theater Arts in Mount Lebanon. She has consistently been named to the district’s highest honor roll, plays softball and is a member of Future Business Leaders of America. Young said she dreams of performing on Broadway and said English and history are her favorite subjects. “I love reading Shakespeare and learning about the great men and women who founded our country,” she said. Paige Passatore leverages talent and organization as dance captain for Keystone Oaks’ production. Serving as the dance captain for Keystone Oaks’ “Fame The Musical,” Paige Passatore said she’s never been more confident about a school show. Despite her love of dance — especially ballet — she watns to be an elementary school teacher and credits high school English instructor Nancy Kraemer as an inspiration. “She’s always found a way to make me do my best,” she said. Just as Passatore would like to take leadership to the classroom, she’s been able to take it to the stage, her directors said. “She’s definitely been my right-hand girl in this show,” staging director Mike Viola said. “Fame The Musical” runs Thursday through Saturday at the Michael A. Callara Auditorium on the high school campus, beginning at 7:30 p.m. each evening. Tickets are $7 and can be purchased at the door. GREEN TREE, Pa. -- Keystone Oaks High School is performing “Fame” this year. The show is about students at New York City's High School of Performing Arts. “’Fame’ is a show that truly represents the thoughts and feelings of teenagers and adults alike. It requires acting, singing and dance talent, allowing everyone to shine,” said director Shane Hallam. This is Hallam’s first year directing the musical. “It has always been a dream of mine to direct high school musicals, and I’m so blessed to do it at such a young age and with so many great students,” said Hallam. Senior Logan Shipp, who plans to pursue a musical theater career after high school, plays Nick Piazza. Shipp is enjoying his character’s vocals. “I love to sing more than anything else,” said Shipp. He said the most challenging thing about the role is the Italian accent. 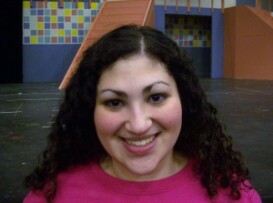 Jaime Diskin is playing Carmen, who is Spanish. “My favorite thing about the role is her drive to be famous,” said Diskin. Diskin also plans to pursue a musical theater career after high school. “Music and performing are who I am,” she said. Keystone Oaks’ production of “Fame” runs March 31, April 1 and April 2 at 7:30 p.m.
Jordan Maddox excels on stage like grandfathers Walt Maddox and Smokey Robinson. A longtime football standout on the field, Jordan Maddox is proving to be equally talented on the stage. He describes Jackson as “the best dancer who doesn’t have the best attitude. He gets defensive easily and has a chip on his shoulder,” Maddox said. While Maddox said he can relate to his character sometimes — especially the dancing — he said he’s not angry the way Jackson is. “I’m a positive person,” he said. “I think this is going to be the best show K.O.’s ever had. It’s being put on by the two best directors K.O.’s ever had,” he said. It’s easy to direct Maddox, director Shane Hallam said. “He has an incredible stage presence — the best,” staging director Mike Viola said. It runs in the family: Walt Maddox, legendary Pittsburgh musician and original member of The Marcels, is his grandfather. And Motown legend Smokey Robinson is his step-grandfather. While he said music will always be a big part of his life, he plans to study physical education and business at a college yet to be determined.